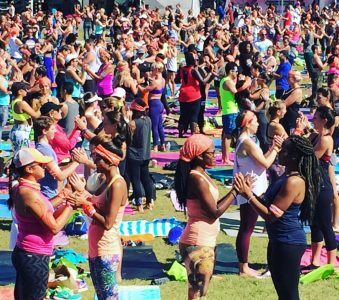 At Fit Radio, we have been focused on bringing more styles of yoga music into the app – allowing you to focus on your practice. Thanks to DJ Taz Rashid, this task just got a whole lot easier! 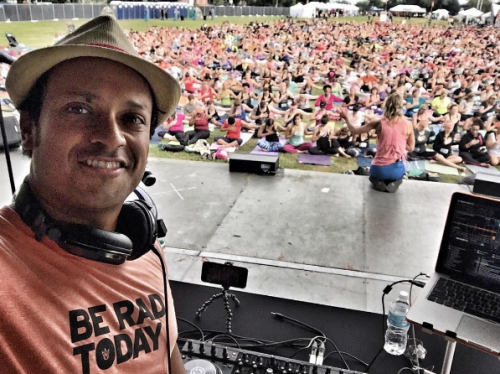 DJ Taz Rashid is a touring DJ who plays at Yoga & Music festivals around the world – bringing more variety to the Yoga station on Fit Radio, including themed mixes like “Vinyasa Flow-World Music”, “Rock Music”, “Core Power”, and more. 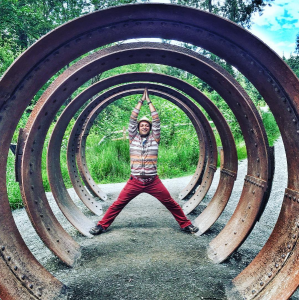 Taz Rashid has gained a lot of love and respect in the yogi world and works with brands like Lululemon, plays at events like Wanderlust 108, receives recognition in magazines like Yoga Journal, and brings rhythm and beats to classes of all styles and sizes. Now, you can take DJ Taz Rashid’s mixes with you wherever you go, which means you’ll always be able to bust out some sick yoga moves no matter where you are in the world. 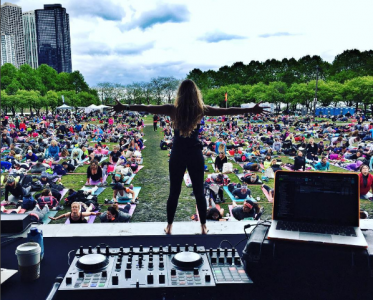 By visiting his DJ profile on the Fit Radio app, you can quickly access his library of mixes – or simply just select Yoga in the workouts tab. 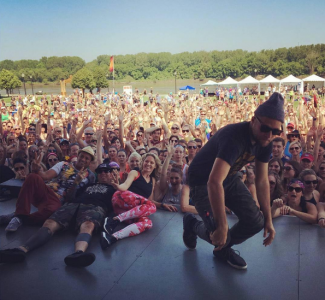 Follow DJ Taz Rashid’s fun adventures around the world on his Instagram and be sure to favorite his DJ profile & mixes so you have quick access to your favorites on the Fit Radio app! We suggest you take it to the next level and go see him at a Wanderlust 108 event near you as well! Take a listen and tell us what you think! DJ Taz Rashid will continue to add new mixes to the Fit Radio app so you can always look forward to something new!